See all 139 properties in Corpus Christi Intl. Situated near the airport, this hotel is 1.8 mi (2.9 km) from Selena Museum and within 6 mi (10 km) of Old Concrete Street Amphitheater and Lozano Golf Center. Whataburger Field and Corpus Christi Federal Courthouse are also within 6 mi (10 km). 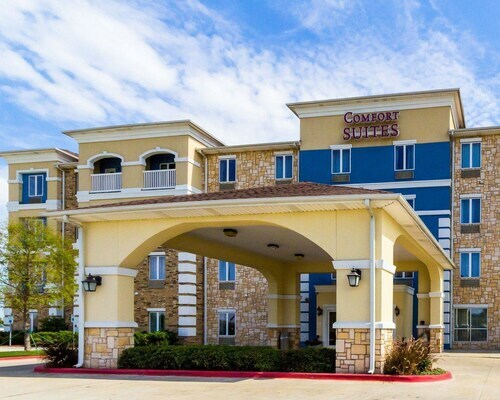 Located in the heart of Corpus Christi, this hotel is 0.5 mi (0.8 km) from Selena Museum and within 6 mi (10 km) of American Bank Center and Hurricane Alley Waterpark. McGee Beach and USS Lexington Museum on the Bay are also within 9 mi (15 km). Situated near the airport, this hotel is 0.3 mi (0.4 km) from Selena Museum and within 6 mi (10 km) of Old Concrete Street Amphitheater and American Bank Center. Corpus Christi Marina and Lozano Golf Center are also within 6 mi (10 km). 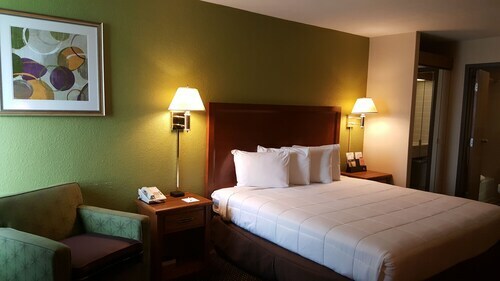 Situated near the airport, this hotel is 1.5 mi (2.3 km) from Lozano Golf Center and within 6 mi (10 km) of Selena Museum and Del Mar College Art Gallery. Del Mar College and McGee Beach are also within 6 mi (10 km). Answer : You sure can adjust your departure or arrival date and you may save money by doing it. The cheapest day to fly in April is Friday. If you like to go with the flow, you may just find that you can pocket some cash. Answer : The cheapest day to fly from Calgary to Corpus Christi is on Friday. So, if you want to save a bit of cash on your next trip look for flights on that day.